Jaisal Vilas Hotels, Jaisalmer, one of the finest hotels in jaisalmer, offers warm hospitable service and excellent amenities to make your stay pleasureable in the Golden City of India, Jaisalmer!. Our guests experience the warmth and grandeur of true Rajasthani royalty, unlike any other Jaisalmer hotels, in our majestically adorned and ethnically 67 well furnished room, 60 executive, 05 deluxe with pool view and 02 royal suite. The facilities we offer are an exotic mix of the ultra-modern with the warmth and ethnicity of the Rajasthani culture. 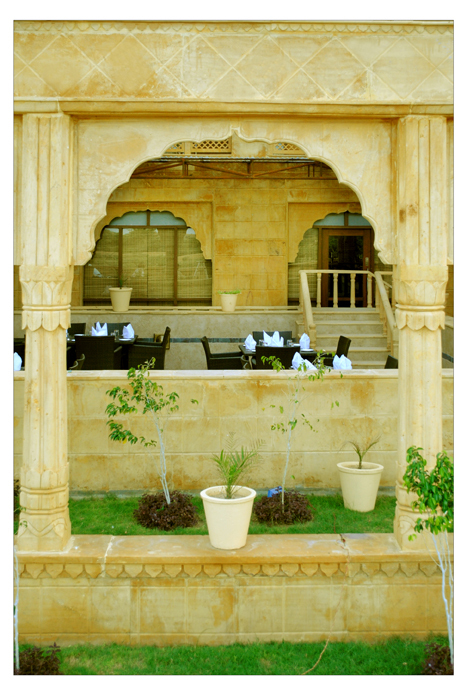 Come and stay at the Jaisal Vilas Hotels, and experience Jaisalmer's hospitality at its best. Laundry Facilities, Airport Transportation, Backup Generator, Currency Exchange, Security Guard, Travel Counter, Room Service, Parking, Breakfast Services, Doctor on Call. DVD Player, House Keeping, Toothbrush/Razor on , Attached Bathroom, Cable/Satellite TV, Iron/Ironing Board, , H/C Water, Air Conditioning Room. User reviews for "Jaisal Vilas Hotel Jaisalmer"